Yahoo CEO's Ousting Is Victory For Hedge Fund Pushing Change At Company : The Two-Way Third Point, a hedge fund run by Daniel Loeb, has been arguing that Yahoo needs new leadership and may need a new direction. Now, its preferred candidate for the CEO's post is in that position on an interim basis. Sunday's news that Yahoo CEO Scott Thompson was stepping down in the wake of questions about his credibility is being followed this morning with accounts about how this is a victory for an activist hedge fund that's been pushing for changes at the Internet search giant. "The Mother's Day boardroom drama signals a capitulation by Yahoo to demands from hedge fund Third Point and its aggressive chief Daniel Loeb that the company move in a different direction. It also ends a contest between the struggling company and Loeb over the makeup of the board of directors that had been headed for Yahoo's annual meeting later this month. Loeb sparked the latest confrontation when he revealed that Thompson's corporate biography claimed a computer science degree he did not have." "Yahoo Inc. gave no official explanation for Thompson's departure, but it was clearly tied to inaccuracies that appeared on Thompson's biography on the company's website and in a recent filing with the Securities and Exchange Commission. "The bio listed two degrees in accounting and computer science from Stonehill College, a small school near Boston. Loeb discovered Thompson never received a computer science degree from the college and exposed the fabrication in a May 3 letter to Yahoo's board. The revelation raised questions about why the accomplishment had periodically appeared on his bio in the years while he was running PayPal, an online payment service owned by eBay Inc."
The Wall Street Journal adds that "before resigning as chief executive of Yahoo Inc.over the weekend, Scott Thompson disclosed to the company's board of directors and several colleagues that he has been diagnosed with thyroid cancer, according to people familiar with the matter." But it's the pressure from Third Point and the changes that Loeb wants to see that are getting extra attention today. According to the Mercury News, among the issues has been Third Point's position "that Yahoo has seriously undervalued its stake in Chinese search company Alibaba. Yahoo has been in talks to monetize the stake in Alibaba it acquired in 2005, according to reports." 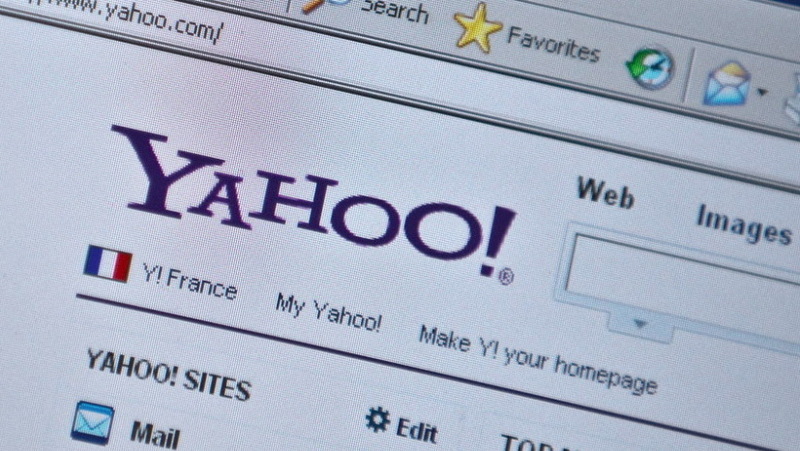 Loeb and Third Point also may press for Yahoo to consider a stock buyback, the newspaper says. The New York Times notes that Thompson, 54, also came under criticism for "seeking to push Yahoo out of its focus on media content and advertising, even though the company drew nearly all of its $5 billion in revenue last year from display and search ads." And, he was criticized for signalling that Yahoo might joint suits against long-time allies Facebook and Microsoft, the Times adds. Ross Levinsohn, Yahoo's executive vice president and head of global media, is taking over the company's CEO slot on an interim basis. The Mercury News says he is one of Third Point's "preferred candidates for the job."